What is arthritis? How does acupuncture help treat arthritis? Arthritis is not actually a specific condition but rather refers to a group of over 100 medical conditions including gout, ankylosing spondylitis, and scleroderma. It refers to conditions of the musculoskeletal system, especially where two bones meet to form a joint. The conditions are felt as weakness or pain and are usually inflammatory in nature. Arthritis can affect almost anyone and it is estimated that almost two thirds of the population have arthritis. How does acupuncture help treat arthritis? Traditional Chinese Medicine is one of the most effective methods of pain control which works on a few different levels. First, by needling the effected arthritic area with acupuncture needles, it essentially causes micro-injuries, causing the body’s healing mechanisms to trigger at that area. Second, acupuncture will increase the circulation of blood to the arthritic areas of the body, thus carrying our natural anti-inflammatories to reduce the levels of inflammation. Third, acupuncture releases our body’s own natural painkillers, called endorphins. This release will inhibit the perception of pain to allow normal function of the joint. 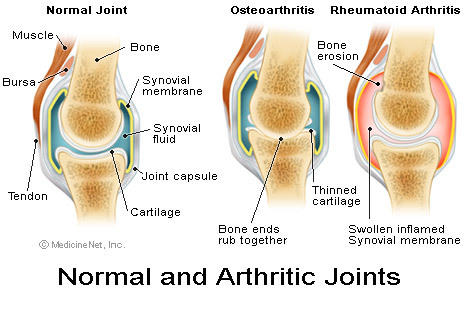 Fourth, any contributing risk factors can be treated simultaneously to reduce the cause of the arthritis. For example, a patient experiencing rheumatoid arthritis in the hands will receive treatment to decrease the levels of inflammation in the joints of the hands, but also focus on reducing the overactive immune system causing the attacks to occur. Where will the needles be inserted? Depending on the type of arthritis a patient is experiencing, the needle placement will vary. In some cases, the needles are placed directly into the joint being affected (between 0.5cm-1.5cm deep). In other cases, the needles are placed in areas not even close to the pain area (i.e. for arthritis in the knee, needles may be placed only in the elbows). This may seem confusing for most patients, but works on a principal known as “distal acupuncture”. In this method, we stimulate nerves (in this case, in the elbow), which are associated with a paired nerve (in this case, the knee). This stimulation will then trigger the vasodilation (opening of the blood vessels) in the arthritic area to reduce the inflammation and restore normal function.